Are There Mistakes in the Book of Mormon? "And now if there be fault, it be the mistake of men; wherefore condemn not the things of God"
By its own admission the Book of Mormon is not a perfect text, something the book’s authors and compilers themselves frequently insisted (1 Nephi 19:6; Mormon 8:12, 16–17; Mormon 9:31; Ether 12:23–25). Although the principles of the Gospel of Jesus Christ as contained in the Book of Mormon remain correct, the text itself suffered some problems and difficulties not only in its initial recording by ancient prophets, but also in its transcription, typesetting, and transmission from edition to edition in the latter days. It seems clear that the Book of Mormon is the “most correct book on earth” because by living and applying its teachings one can come closer to God than by any other book. In a revelation given to the Prophet in 1832, the Lord explained that members of the Church “remain under . . . condemnation until they repent and remember the new covenant, even the Book of Mormon and the former commandments which I have given them, not only to say, but to do according to that which I have written” (Doctrine and Covenants 84:57. Thus, the “correctness” of the Book of Mormon, along with other holy scripture, is not to be found in any supposed mechanical or verbal perfection, but rather with the transformative power it has in correcting and guiding the lives of readers who follow its teachings. That being said, close examination of the manuscripts and various printed editions of the Book of Mormon help readers appreciate the true integrity of its text. This kind of scholarly examination is called a “critical text” analysis. 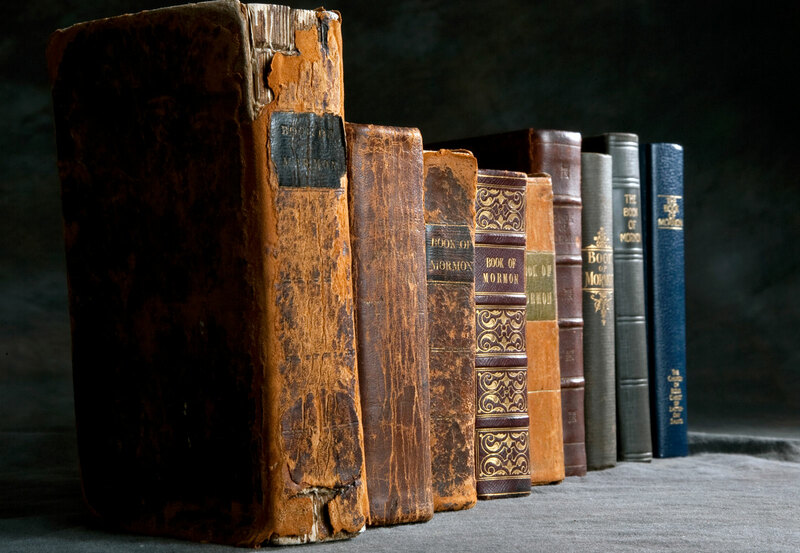 With Skousen's work we not only get much closer to the original text of the Book of Mormon as dictated by Joseph Smith, but we can also track more closely than ever before how and when changes and mistakes were made—whether intentionally or unintentionally—when the Book of Mormon was initially copied, typeset, and printed in 1829-1830. The critical text has been helpful not only in clarifying confusing passages that were the result of transcription errors, but also it has identified and explained places where editors have sought to make stylistic improvements in the text. Ultimately, Skousen’s work shows that the Book of Mormon was brought forth with amazing care and consistency. This confirms what the Lord told Oliver Cowdery in June 1829, the same month as the completion of the translation of the Book of Mormon,15 “Behold, I have manifested unto you, by my Spirit in many instances, that the things which you have written are true; wherefore you know that they are true. And if you know that they are true, behold, I give unto you a commandment, that you rely upon the things which are written; For in them are all things written concerning the foundation of my church, my gospel, and my rock” (Doctrine and Covenants 18:2–4). One may safely conclude that the authenticity of the Book of Mormon is supported by both the testimony of the flesh-and-blood Book of Mormon witnesses, such as Martin Harris and David Whitmer, as well as the testimony of the ink-and-paper Book of Mormon manuscripts. The full Book of Mormon Critical Text can be found on this Book of Mormon Central website and a new Book of Mormon Critical Text website, part of BYU Studies. See also http://www.mormoninterpreter.com/author/royals/. For a handy summary of the most meaningful findings of the critical text project, see Royal Skousen, “Some Textual Changes for a Scholarly Study of the Book of Mormon,” BYU Studies, 51 no. 4 (2012), 99–117. 1. JS History, 1838–1856, vol. A–1, 34, online at http://josephsmithpapers.org/paperSummary/history-circa-june-1839-circa-1841-draft-2 (Accessed September 10, 2015). “I wish also to mention here, that the Title Page of the Book of Mormon is a literal translation, taken from the very last leaf, on the left hand side of the collection or book of plates, which contained the record which has been translated; and not by any means the language of the whole running same as all Hebrew writing in general; and that, said Title Page is not by any means a modern composition either of mine or of any other man’s who has lived or does live in this generation. Therefore, in order to correct an error which generally exists concerning it, I give below that part of the Title Page of the English Version of the Book of Mormon, which is a genuine and literal translation of the Title Page of the Original Book of Mormon, as recorded on the plates.” JSP Histories 1:352–54. 3. B. H. Roberts, ed., History of the Church of Jesus Christ of Latter-day Saints (Salt Lake City: Deseret Book Company, 1948), 4:461. The source underlying this entry in History of the Church comes from Wilford Woodruff’s journal entry on November 28, 1841. “Joseph Said the Book of Mormon was the most correct of any Book on Earth & the key stone of our religion & a man would get nearer to God by abiding by its precepts than by any other Book.” Wilford Woodruff, Journal, November 28, 1841. 4. Hugh Nibley, Since Cumorah, The Collected Works of Hugh Nibley: Volume 7 (Provo: FARMS, 1988), 8. 5. Jeffrey R. Holland, “An Analysis of Selected Changes in Major Editions of the Book of Mormon-1830–1920” (Master’s thesis, Brigham Young University, 1966); Stanley R. Larson, “A Study of Some Textual Variations in the Book of Mormon Comparing the Original and the Printer’s Manuscripts and the 1830, the 1837 and the 1840 Editions” (Master’s thesis, Brigham Young University, 1974); Robert F. Smith, ed., Book of Mormon Critical Text: A Tool for Scholarly Reference, 3 vols. (Provo, UT: FARMS, 1984–1987). See Royal Skousen, “A Brief History of Critical Text Work on the Book of Mormon,” Interpreter: A Journal of Mormon Scripture 8 (2014): 233-48. 6. Skousen has published his work under the FARMS imprint, through the Foundation for Ancient Research and Mormon Studies, also the Neal A. Maxwell Institute for Religious Scholarship (http://publications.maxwellinstitute.byu.edu/people/royal-skousen/), and now, since September 2015, through BYU Studies in 2015. 7. Royal Skousen, ed. The Original Manuscript of the Book of Mormon: Typographical Facsimile of the Extant Text (Provo: FARMS, 2001); The Printer’s Manuscript of the Book of Mormon: Typographical Facsimile of the Extant Text in Two Parts (Provo: FARMS, 2001); Analysis of Textual Variants of the Book of Mormon, six volumes (Provo: FARMS, 2004–2009); The Book of Mormon: The Earliest Text (New Haven: Yale University Press, 2009); Royal Skousen and Robin Scott Jensen, eds. Revelations and Translations, Volume 3, Part 1: Printer’s Manuscript of the Book of Mormon, 1 Nephi 1–Alma 35. Facsimile edition. Part 1 of vol. 3 of the Revelations and Translations series of The Joseph Smith Papers, edited by Ronald K. Esplin and Matthew J. Grow (Salt Lake City: Church Historian’s Press, 2015); Revelations and Translations, Volume 3, Part 2: Printer’s Manuscript of the Book of Mormon, Alma 36–Moroni 10. Facsimile edition. Part 2 of vol. 3 of the Revelations and Translations series of The Joseph Smith Papers, edited by Ronald K. Esplin and Matthew J. Grow (Salt Lake City: Church Historian’s Press, 2015). 10. Skousen, The Book of Mormon: The Earliest Text, xxxvii–xxxix. See also Royal Skousen, “The Nature of the Original Text,” online at http://publications.maxwellinstitute.byu.edu/video/the-nature-of-the-original-text/ (Accessed September 10, 2015); Stanford Carmack, “A Look at Some ‘Nonstandard’ Book of Mormon Grammar,” Interpreter: A Journal of Mormon Scripture 11 (2014): 209–262; “What Command Syntax Tells Us About Book of Mormon Authorship,” Interpreter: A Journal of Mormon Scripture 13 (2015): 175–217; “The Implications of Past-Tense Syntax in the Book of Mormon,” Interpreter: A Journal of Mormon Scripture 14 (2015): 119–186; “Why the Oxford English Dictionary (and not Webster’s 1828),” Interpreter: A Journal of Mormon Scripture 15 (2015): 65–77; “Exploding the Myth of Unruly Book of Mormon Grammar: A Look at the Excellent Match with Early Modern English,” online at https://www.youtube.com/watch?v=oHJzY_9RZ4E (Accessed on September 10, 2015). 11. For a recent account of Joseph’s means and methods of translation, see Michael Hubbard MacKay and Gerrit J. Dirkmaat, “Firsthand Witness Accounts of the Translation Process,” in The Coming Forth of the Book of Mormon: A Marvelous Work and a Wonder, ed. Dennis L. Largey et al. (Provo: Religious Studies Center, Brigham Young University, 2015), 61–79. Especially from Martin Harris’ accounts, the translation process included Joseph placing his seer stone into his hat, drawing the brim of the hat around his face to exclude the ambient light in the room. 12. Royal Skousen, “Translating the Book of Mormon: Evidence from the Original Manuscript,” in Book of Mormon Authorship Revisited: The Evidence for Ancient Origins, ed. Noel B. Reynolds (Provo, UT: FARMS, 1997), 61–93; “‘A theory! A theory! We have already got a theory, and there cannot be any more theories!’” online at https://www.youtube.com/watch?v=4V5TZKyrMqg (Accessed September 10, 2015); Skousen and Jensen, Revelations and Translations, Volume 3, Part 1, xvii–xxv. The exact “tightness” of the translation of the Book of Mormon, and all that it entails, remains open for discussion. 14. See the analysis of this passage in Royal Skousen, Analysis of Textual Variants of the Book of Mormon: Part One: 1 Nephi 1–2 Nephi 10 (Provo: FARMS, 2004), 33. This series is available online for free at http://www.mormoninterpreter.com/announcing-the-online-edition-of-royal-skousens-analysis-of-textual-variants-of-the-book-of-mormon/ (Accessed October 22, 2015).